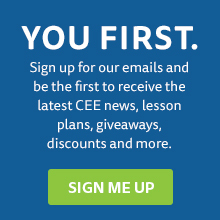 Every two years, the Council for Economic Education (CEE) conducts a comprehensive look into the state of K-12 economic and financial education in the United States, collecting data from all 50 states and the District of Columbia. The biennial Survey of the States serves as an important benchmark for our progress, revealing both how far we’ve come and how far we still have to go. There has been notable progress since the first survey was published in 1998, but in recent years there has been only modest improvement. 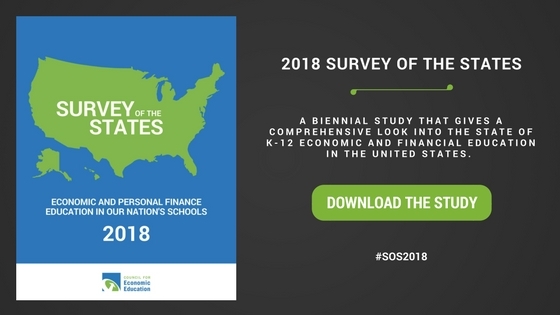 The 2018 Survey of the States reflects no growth in personal finance education in recent years and little improvement in economic education. “If it’s not tested it’s not taught”, and a few states are ensuring that robust testing accompanies classroom instruction – only 16 states for economics and a mere 7 for personal finance. Research shows that requirements are the main driver of economics and personal finance being taught in schools. Here are some ways that you can take action to make sure that all of our students – not just those living in states with strong financial education mandates – are equipped with the economic understanding and critical-thinking skills necessary to make responsible decisions for their financial futures. For media inquiries about the 2018 Survey of the States study, please contact: April Somboun, asomboun@councilforeconed.org, 212-730-6727.